Shrouded in legend, the mysterious cult of the ancient Druids continues to fascinate, inspiring latter-day imitators who often are only a poorly researched and romantic reflection of Druidic lore. In this compelling and readable history, respected Celtic scholar Peter Berresford Ellis explores who the Druids really were and what role they played in the Celtic world. Ellis provides a fresh and convincing interpretation of the facts, based on both archaeological and etymological findings. The most complete anthology of Celtic oral tradition ever assembled. During his travels, Alexander Carmichael spent hours with peasants in their huts in front of peat fires listening as they “intoned in a low, recitative manner” these poems and prayers. This unique collection of living spirituality drawn from the depths of Celtic Christianity, represents a hidden oral tradition of great power and beauty, handed down through countless generations of Hebridean peasants. Warlike, exuberant, and superstitious, the ancient Celts saw divinities in every facet of life and nature, venerating deities of the sun, thunder, water, war, healing, hunting, fertility, and death. A powerful priesthood presided over much of their religious life. 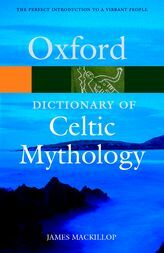 The Dictionary of Celtic Myth and Legend covers ever aspect of Celtic myth, religion, and folklore in Britain and Europe between 500 B.C. and A.D. 400. A comprehensive and accessible survey of one of the world’s richest mythological traditions. It covers the people, themes, concepts, places, and creatures of Celtic mythology, saga, legend, and folklore from both ancient and modern traditions, in 4,000 entries ranging from brief definitions to short essays. An introductory essay explores the origins and identity of Celts, the history of the Celtic revival, and the meaning and role of mythology. 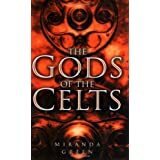 An excellent source for those curious about the mystical myths of the Celts. 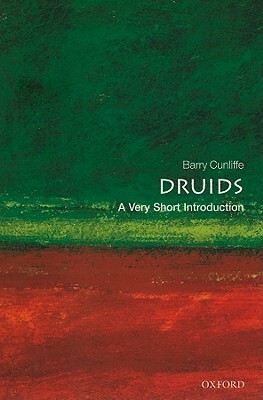 In this Very Short Introduction, one of the leading authorities on British archaeology, Barry Cunliffe, takes the reader on a fast-paced look at the ever-fascinating story of the Druids, as seen in the context of the times and places in which they practiced. Sifting through the evidence, Cunliffe offers an expert’s best guess as to what can be said and what can’t be said about the Druids, discussing the origins of the Druids and the evidence for their beliefs and practices, why the nature of the druid caste changed quite dramatically over time, and how successive generations have seen them in very different ways. For two and a half thousand years the Celts have continued to fascinate those who have come into contact with them, yet their origins have remained a mystery and even today are the subject of heated debate among historians and archaeologists. In this erudite and profusely illustrated history, Barry Cunliffe explores the archaeological reality of these bold warriors and skilled craftsmen of barbarian Europe who inspired fear in the Greeks and Romans. Tracing the emergence of chiefdoms and their migrations as far as Bosnia and the Czech Republic, he assesses the disparity between the traditional and contemporary information on the Celts and offers new insight into the true identity of this ancient people. Peter Berresford Ellis, a foremost authority on the Celtic peoples and their culture, presents an invigorating overview of their world. With his gift for making the scholarly accessible, he discusses the Celts’ mysterious origins and early history, and investigates their rich and complex society. His use of recently uncovered finds brings fascinating insights into Celtic kings and chieftains, architecture, arts, medicine, religion, myths and legends, making this essential reading for any search for Europe’s ancient past. Savage and bloodthirsty, or civilized and peaceable? 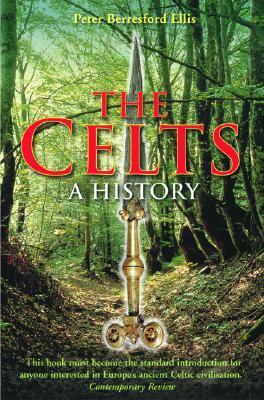 The Celts have long been a subject of enormous fascination, speculation, and misunderstanding. From the ancient Romans to the present day, their real nature has been obscured by a tangled web of preconceived ideas and stereotypes. Barry Cunliffe seeks to reveal this fascinating people for the first time, using an impressive range of evidence, and exploring subjects such as trade, migration, and the evolution of Celtic traditions. Along the way, he exposes the way in which society’s needs have shaped our visions of the Celts, and examines such colorful characters as St. Patrick, Cu Chulainn, and Boudica. This book is the latest comprehensive study of what people have thought about the ancient Druids and why. Written in a racy and accessible style it is essential reading for everyone interested in exploring our mysterious past. 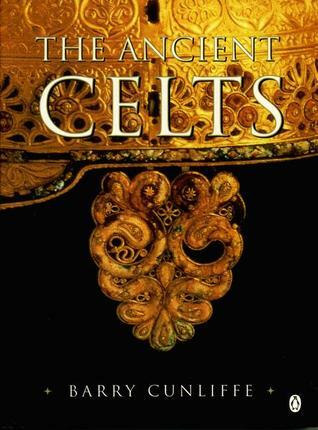 Since the Celts left us no written records, much of what we know about them has been culled from the writings of literate Mediterranean societies, especially the Greeks and Romans, who had definite axes to grind with these “barbarians.” This book attempts to shed light on the Celts and their religion, embracing the whole Celtic world from about 500 B.C. to A.D. 400. Chapters cover the cults of sun and sky, mother goddesses and fertility, war, death, and the underworld; as well as water gods and healers, animals and animism, and symbolism and imagery. The title Mabinogi refers to the first four stories in this collection of tales from Welsh tradition. In the first thoroughly revised edition and translation of this world classic since Lady Charlotte Guest’s famous Mabinogion went out of print, Mr. Ford has endeavored to present a scholarly document in readable, modern English. This is the first survey of religious beliefs in the British Isles from the Stone Age to the coming of Christianity. Hutton draws upon a wealth of new data to reveal some important rethinking about Christianization and the decline of paganism. Historian Markale takes us deep into a mythical world where both man and woman become whole by realizing the feminine principle in its entirety. The author explores the rich heritage of Celtic women in history, myth, and ritual, showing how these traditions compare to modern attitudes toward women.